I was chuckling to myself, thinking about that. I was vacuuming and listening to a podcast on world events, waiting for my sheets to finish in the dryer and I realized — it’s taken me a while, but I’m actually growing up. And, I realized that there are definitely some things I know now, that have changed who I am and how I live my life, for the better. And not that I can take credit for any of these. Most are either taught from my beautiful mother, or the humiliating/devastating result of trial and [critical] error. 1. Invest your time in the people who matter to you. Your actions speak a lot louder than your words, and how you spend your free time is a big indicator to what and who you value. And at the end of the day, your “true blue” friends are going to mean a lot more than any loud and obscure party. So choose accordingly. 2. If someone takes the time to leave you a voicemail, listen, and call them back. Even if it’s just a text reply, RESPOND. I spent years and years during my anorexia just not picking up the phone and not returning the calls and texts from my friends. They’re reaching out because they care about you. But if you don’t reciprocate, the rejection will eventually wear on them, and they will just stop trying. Friendships and relationships matter. 3. If people matter to you, let them know. I have lived by the rule that a lady should never show her cards and keep her heart close to her chest. But you know what? That has gotten me nowhere. And in one weekend here, I have interacted with three separate men, all of whom had feelings for me during different periods of life, and I never let them know that I too, felt the same. And you know what? They are now all happily in relationships, and there’s nothing I can do about it. 4. There is no better accessory than confidence. If you feel good about yourself, then other people will too. Period. 5. Say “yes” more often. I’ve learned that if you really want to start living, you need to say, yes – Incorporate it into your vocabulary. Embrace the lifestyle that it produces, and don’t look back. Here’s the thing: some people call it intuition, some people call it your conscience, some people call it a gut feeling, but I’m here to tell you…it’s the Holy Spirit’s nudging. Cheesy, sure. Accurate? Absolutely. You’ll know you’re doing the right thing because you feel at peace. That’s the Spirit moving in your heart. Listen. And if you’re feeling restless, that’s a big ol’ Red Flag, and probably something should change. Which is why, I’m actually writing this from Ohio. Yes, I actually decided to come home for a little bit while my mom gets a heart procedure done. Ever since her stroke back in December, I’ve adhered to that final advice, following the peace. But when I was back in NYC, let’s just say I was a tinderbox of emotion the whole time. It was as though I were there in body only…my heart and spirit were back in Ohio with my mom. So I’m going to be home for a few weeks and be with her while she’s recovering and adjusting to her new post-stroke normal. It turns out, that we really only get one chance in life. One go around the sun. And the older I get, the more I’m realizing that there are actually, very few things that truly matter…and probably the biggest of these is family. If you need me, I’ll be basking in this glorious peace. What are some of the best “Life Souvenirs” you’ve picked up along the way? Previous Post Scientology: The Eating Disorder of Religion? Life is a book we live one chapter at a time. One of my souvenirs. Enjoy your time back in Ohio and tell “mom” we are praying for her and you. My life’s best souvenirs are…MY SONS! Woot! A great reminder to live intentionality in each moment we have, it’s all a gift. I’ll be keeping your Mom in prayer. Very well said! Good luck to you AND to your mother. Having had a bit of chest surgery myself, I can relate. The surgery is over and was successful, the cardiac disease probably a legacy of Agent Orange from my Vietnam years. I’m doing great, and God has blessed me greatly. Prayers and virtual hugs going you and your mom’s way too. Such great advice. It took me almost 50 years and a tragic loss to learn some of this. I have a bunch! This is an especially good time to think of them with me hitting another decade this Saturday! My top picks are waiting over at Patreon! Thanks so much Jeff! I can’t wait to read them!!! And eek! Happy early bday! People always say “30 is the new 20,” etc. 60? Not the new anything. Just 60! But I have younger friends and I’m teaching the youth group now and then at church. Keeps me young. Or is it immature…?? If you can’t measure it, it can still exist in large measure. .. and there are more. But I want you to know that the joy you are writing with is just contagious. You’re keeping us all bubbly!! God loves you just the way you are but loves you WAY too much to leave you that way. I am sitting in my house reading your beautiful words with tears streaming down my face as my daughter is in the tub. I have been feeling isolated and out of sorts. Your reminders are timeless and eye-opening and helped to fuel my tired soul. Thank you so much. I am praying for your mother and rejoicing in the peace only Ohio can give you right this moment. Thank you. There’s a lot here I needed to hear. Especially 1 and 2. 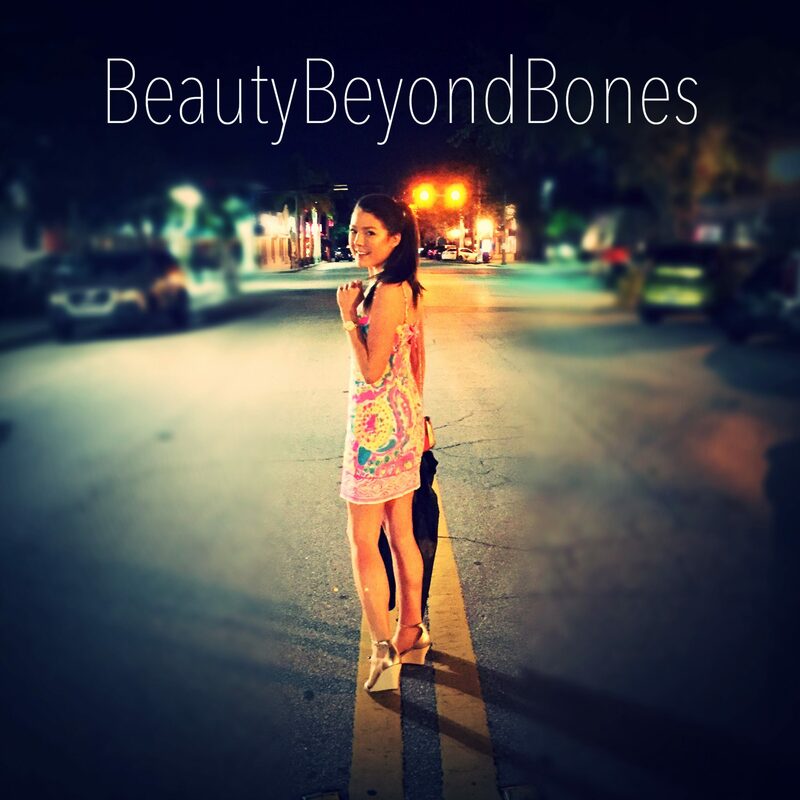 Your blog exudes such positive inspiration that we could all learn to live by. Always look forward to your new posts. Sending my thoughts and prayers to your mother and wishing her much success in her heart procedure and post-recovery! What a wonderful post. Every topic was exactly what I needed! Often we shrug away those Holy Spirit nudges – but they are so important! And I love the advice on letting people know if they mean something to you. Great post. Love your work! And enjoy Ohio. Hope is Ohio? Wow you are just across the Lake from me. I’m in Kitchener Ontario. This is good. I would have to agree with your souvenirs. Particularly the ones about friendship. They do matter. It takes no time to answer a call or reply to a text. Or to even make one. “I’m busy” is one of my most despised phrases. If you don’t have time for me in life don’t make time for me in death. All of these are great. Good post. Great stuff… as usual. Especially the counsel on following the peace. Hard to do, sometimes. But so essential! M. A.
Liking your list 🙂 One “life souvenir” to add to your list is the opposite of what you wrote. Yes, I completely agree that we should say Yes more often. It widens out worldview. But, we should also feel it’s okay to say NO. We women especially are raised as people-pleasers, and sometimes we get over-scheduled, or corralled into social invitations we don’t really want to accept. We should remember that it is our time too. And Just Say No. It’s hard at first, then liberating. “He leadeth me, He leadeth me, by His own hand He leadeth me.” An old hymn I picked up long ago and now sing to myself as a prayer. It helps me trace back over a long life and remember/recognize how He was leading me by His own hand at every juncture of my life. I’ve been reading your blog silently for a time now, Many times you talk about things I’ve long ago experienced and think about, but you have the right words to describe them. That is a blessed gift. May the Lord continue to bless you richly! I really appreciate your post. Yes, family matters the most. As I said to my daughter, for different circumstances, friends come and go, but family stick together even if they are miles apart. My side of the family is in Hong Kong. I also appreciate what you said about nudging by the Holy Spirit. I learned to be as ease about silence, especially in counseling situation. I told my clients that I don’t have any agenda, I listen to the Holy Spirit to guide what I want to say to respond to what they say. It’s so good for you to spend a few weeks with your mom after her stroke. Yes, we only have one life to live. I’m thankful that God extended my life after a stage IV cancer. I’m grateful for every moment of my life. I said that already but say it again, that you’re very beautiful. I’m so happy so see you becoming a sensitive beautiful lady! Blessings to you and pray for your mom’s recovery! Thank you so much, I’m getting stronger and look forward to being the first time grandma! I’m in Ghana and I so love this piece. Have a great day! I love #3. I’m so glad you’re listening to your gut, that nudge from God. I often wish I’d moved back to my mom’s when I had the chance, but I chose to stay in Maryland, and met a guy who later broke my heart. I have to believe it was all for a reason ultimately or I’d live in regret. Sending prayers for your mom. Love this sis, especially numbers 1, 2 and 5! I am realizing these things as I get older and am maturing as well. Bless you and glad you are following peace. It’s the most important thing we have when we have Jesus. Tremendous post! Reading it was a beautiful way to start thinking about more than just what’s happening this weekend. Thank you for such terrific writing. I’m so glad you are with your mom. When she is gone you won’t be able to bring her back. And there will be many times you will wish you had said something to her that you didn’t or done something with her that you could have and didn’t so I’ll encourage you to do and say those things now as they pop up over the days you are together, do and say whatever comes up. There are questions I wish I had asked my grandmother about our family that I will never have the opportunity to ask now. There are things I wish I had told Mom that I can never tell her now. So let me encourage you to do and say things with your mom. Wow, this post really resonated with me! Your second and third points reminded me that I shouldn’t let fear hold me back from being transparent, even if it may lead to rejection, and just say Yes and allow the Holy Spirit to lead and direct my path. Number 3 is my life’s aim! Give people their roses while they are still here!❤️ great post as usual ! Hate to say it (not) but I told you so – You needed Ohio as much as it needed you!!! Anyway, so glad that you are on track and things are going well. Great words to live by as well ( ….be the Love You want to Receive) I absolutely agree with this statement! One item I had to “pick up” (learn) along the way is the opposite of #5 on your list. One of the coping mechanisms I (unfortunately) learned at an early age was that life was easiest for me if I kept those around me happy. One of the easiest ways to accomplish this was to say “yes” to their every wish and/or whim – a perfect recipe for a full-blown co-dependent and future addict!!! It took many years, but I learned to set boundaries and – horror of horrors – learned it really was okay to say “no”… Keep up the good work and “hugs” and prayers to your Mom! Great list. Lots of this stuff is what our grandparents would call “normal behavior” that had sadly been lost nowadays. Much of modern life seems like we’re trying desperately to reclaim the pieces of tradition that are sorely lacking in our lives. Your posts are always a joy to read. Love is sublime! Do not play with love because it can hurt. I actually just posted on FB the other day the question about who I was in the mirror because I don’t recognise myself. So, I just thought of something…..
I’m pushing myself to go outside my comfort zone moving out of NC…. But really, I don’t recognize myself in the mirror, who is that guy? I have never in my life owned plants, done crafty things on my own, been one to write like I do now. I’ve always been one to listen and call people back. I’ve had too many near death experiences to realize time is short. But this was beautifully written as always! It’s such a joy to read your posts. Yes! Listen to your gut! No don’t blush 😂 make you’ll beam more cuteness at me 😂 how was your week? Hahaha you’re funny. It was pretty good thanks. Glad to be back in Ohio! What an amazing piece ! Awesome post! Here are few lessons I imagine myself telling if I’m ever asked to give a commencement address at my alma mater. 1. Don’t be generic. God made you unique and gave you unique gifts to offer the world. Offer them, and be proud. 2. If you have enthusiasm for something, pursue it. The word enthusiasm literally means “breathing in God.” If you feel yourself breathing in God in any activity, that’s a big clue to your purpose in life. 3. Follow a career path that allows you to focus on your strengths. Don’t follow a path that’s not right for you just because you think you can make a lot of money at it. 4. Don’t try to change your basic nature. If you are extroverted, don’t force yourself to be an introvert. If you are introverted, don’t force yourself to be an extrovert. Both of them have their advantages. Whatever you are, do something that fits your personality rather than forcing yourself to change. 5. Believe in yourself and believe in the Almighty One. Wait, shouldn’t believing in God come first? That’s what most religious people will tell you. What I’ve learned is, if you don’t believe in yourself, nothing else you believe in will have any power for you. 6. Know yourself. If you don’t know who you are, what you believe in, what your unique gifts are, what your personality is, and what you have enthusiasm for, you won’t be able to follow points 1-5. You know I am not surprised. I look forward to God’s next plan in your life. This was a wonderful post. I used to be so afraid to express myself for fear of rejection. I wasted so much time being afraid that I missed out on receiving love. I’m still growing up in that area of my life, but the best souvenir I’ve received from being myself, is joy! Hey Caralyn: After all these previous posts, there is basically nothing new to add, so I will just say, you are an awesome young lady, with a wise, intelligent, witty mind. There are two major obvious important aspects in your life: your love of God our Heavenly Father, and your love of His Son and our Saviour Jesus Christ, including your openness to speak freely of Jesus and what He means to you, as well as what He has done. Next, your love and devotion to your Mom and Dad. Reading what you write of them, your heart is seen by all, as warmth and love radiates from you, about them. I am certain that all others following you realize that also, and are blessed. I sure am. Glad hear you back home with mom, praying for her. She is a strong woman. Many Blessings. You very welcome 🙂 we can never have enough prayers. God is truly amazing. I love Ohio, it’s one of the places I’ve visited since trying to say Yes more often the last year or so. Thank you again for sharing your heart with us. I hope you have a great time in Ohio and that you are a blessing to your dear Mom.I especially liked your idea of saying yes more. It is easier for me as a grandparent to say yes instead of always saying no. Oh my goodness that’s awesome every-post i seen that’s was good quality of content you have write..love it..
Man… I’m so bad at answering the phone or calling people back. You are so right though. I need to get better at responding to the people who care about me. thanks ! Thank you😘😘. Feel free to visit mine. May b u will find something interesting about ife too. I don’t need you. I don’t want you. But I do want to ask a question, if I may. Why did you turn to semi-weekly publishings? You did not start that way. As you say, we only have one life. I am only in it for the information. Loved the picture of you holding your Furbie 🙂 Ugh, listening to voicemails is SO hard! Haha. I think your title fits perfectly. I think all you’ll ever be, a souvenir, nothing more. Like my Les Mis playbill that I threw away. Just wasn’t worth hanging on to. Good-bye. I’ve always loved…”Let there be peace on earth and let it begin with….ME!” Couldn’t help but hum this tune, while looking at the peace radiating from your photo! Hugs n’ sweet blessings! Lately I have been a lot more careful about who I choose to spend my time with and it has made such a beautiful difference in my life. There is definitely an art to finding the balance. Btw if you like old fashioned movies check out The Robe or Barrabas. Both good films. You’re wise for someone so young. You share it eloquently, and that’s ultra-cool. Thank you. Hey Caralyn, another fantastic post! Your honesty and your attitude are always refreshing. Reading this one today, I couldn’t help but think that maybe number 6 is part of the reason you didn’t open up to the guys you talk about in number 3 (if that makes sense). If they are all happily in relationships now, then maybe they weren’t the right guys for you, and the times you knew them in the past weren’t the right times for you to be finding your future husband. God works in amazing ways, and so often we get impatient but there is always a reason for the times of waiting. My wife did a sermon at church recently on Jeremiah 29:10-11. Verse 11 is a verse we are all familiar with (For I know the plans I have for you declares the Lord etc.) but we always skip over verse 10 which says “his is what the Lord says: “When seventy years are completed for Babylon, I will come to you and fulfill my good promise to bring you back to this place.” So yes God will prosper us etc, but in His time, because His time is perfect. I’m sure you’re not going to have to wait 70 years, but just think of the growth and learning you have done over recent years in your recovery and how that prepares you for a relationship in the future. Also, I was excited to read you are back in Ohio, that definitely seems like the place for you to be right now. I think God is going to do amazing things for you there! Hope that all makes sense! Keep doing what you’re doing, it’s awesome! I can’t tell you how much I love this post. There’s so much truth in it, and the quotes and photos throughout it are BEAUTIFUL. YOU are beautiful. Never forget that. 1. God loves you, and He’s always right by your side. 2. Being different is not only okay, it is beautiful. 3. Be unafraid to say the words that are on your heart. Doing so opens doors that will lead you to beautiful people and things. 4. If someone means a lot to you, tell them. 5. Pain makes you stronger. 6. No dream is impossible. Hope you’re having a blessed weekend! Enjoy Ohio! Some life tips are: Accept Jesus as your Savior, love your enemies, respect everyone including the people that don’t like you, Make sure you treat everyone with kindness and love not hate, Accept people as they are and respect other people’s opinions even if you disagree. Needed #3 for a reminder. I’m so bad at reaching out, keeping in touch, and making sure that people I care about know that I do. Praying for your mom and your whole family. God is sovereign! I was really enjoying your points when all of a sudden – bam!! – you’re back in Ohio! That’s fantastic. Your points are truth filled and they spoke to me. I like how they are “being” orientated rather than doing orientated; relational. I do have one concern… you still deal with voicemail? Thank you so much for this, it really resonated with me–especially your words about listening to the spirit. I’m a member of the Church of Jesus Christ of Latter Day Saints, and I really resonated with that point–the Spirit speaks to each of us so individually, and I’ve been working really hard to listen to Him while starting a new job. Don’t worry if the answer is slow in coming on what you’re suppose to do, revelation is generally more of a “sunrise” thing than a “light switch” in my experience. Good luck in Ohio, I’m praying for you and your family! I will add to your list, In addition to saying yes, do NOT be afraid to use the word No. There are just somethings that we all don’t want to do for one reason or another. But we are afraid of hurting someone’s feelings if we decline. Using both yes AND no as we feel fit can make our lives SO much easier! I know too many who say yes WAY too often as well as those who say NO. Use them both as needed and life will be MUCH better! Good word. From my own past experience I would include “love laughter and learn to cry.” I’ve always lived with a mindset that it laughter is better than crying. But obstructing the painful experience of tears will short-circuit your emotional balance. Don’t live in mourning but don’t be afraid to visit when the season calls for it. This is some really great advice. You’re young and wise! And you’ll never regret time spent with your mom. Wow! I really love this post! 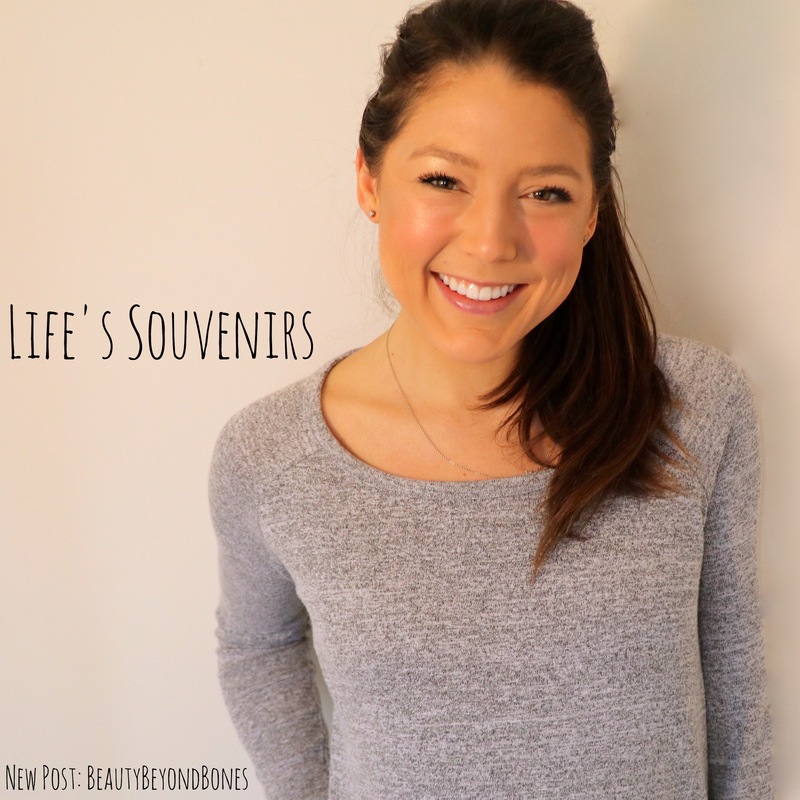 I really like that expression, “Life’s souvenirs” You hit on a lot of good points. btw, I love the pic of the guy falling on his face – made me laugh out loud! Perfect representation of trial and error! I will definitely keep both you and your mom in my prayers! Once again, great post! I know how you feel C I mean I used to Google myself too sometimes. Maybe you should google Mike and Ike’s candy they are delicious. 2. I don’t use Facebook anymore. I have not for 3 years. The reason why is because Drama, Drama, Drama and let’s face it Facebook has become like an old episode of Passions in real time. 3. Put down the vodka and soda and come out of your feelings and step into faith. You won’t find God at the bottom of a soda can of vodka. Walk by faith not by sight.Lean not on your own understanding. Look C. I get it the flesh is weak. You’re human, that doesn’t make you any less worthy of being taught to be loved. Stop looking on Facebook and Look to God. He will guide your heart. Thank you so much for this beautiful post. It took me a very long time to realise that it’s ok to be me. I have combat PTSD, and I believed that I was the ‘Beast’ from beauty and the beast, someone who is nice and caring, but someone who people may fear. Since my recovery, I have learned that to be me is a wonderful thing, and now people respond to me in a positive way – because it was me that was hiding away, not other people avoiding me. Thank you again. I love your Blog! Just wanted to thank you for your hard work and dedication in this much needed field. I know you are reaching many people, I know you are encouraging and inspiring along the way. I think many many people can relate to your story. You do a phenomenal job, and as future RDN, eating disorders are a strong component of my future career. Thank You for helping heal others in this journey to health in aspects of life: beyond physical health but spiritual, emotional, social as well. I appreciate your heart and passion and genuine purpose behind your work. Keep it Up and I hope you feel refreshed and rejuvenated each day as I know you wish for your followers. I wanted to share this post, as it provides an amazing display of someone with a heart for helping others. I think anyone and everyone would be encouraged by following her and learning her story. Sorry I haven’t stuck my nose out lately… Process of moving and all that… But, here I am! Some of Life’s souvenirs… Hmmm… Battle scars! Probably the most relevant thing I’ve gotten on my travels. Without them, I wouldn’t be able to tell my stories. I don’t think anyone would be able to, honestly… including you and I enjoy reading… strike that… I adore you telling all of us and we get the privilege of getting to listen and digest… these stories and experiences that you have. I don’t subscribe to many blogs, YouTube channels, or whatever… but this is one of the few. Great thoughts as always and well articulated! Looking forward to the next one!